I recently wrote about the idea of element interactivity and the fact that it does not depend upon the learning materials alone, despite how some people interpret the concept. 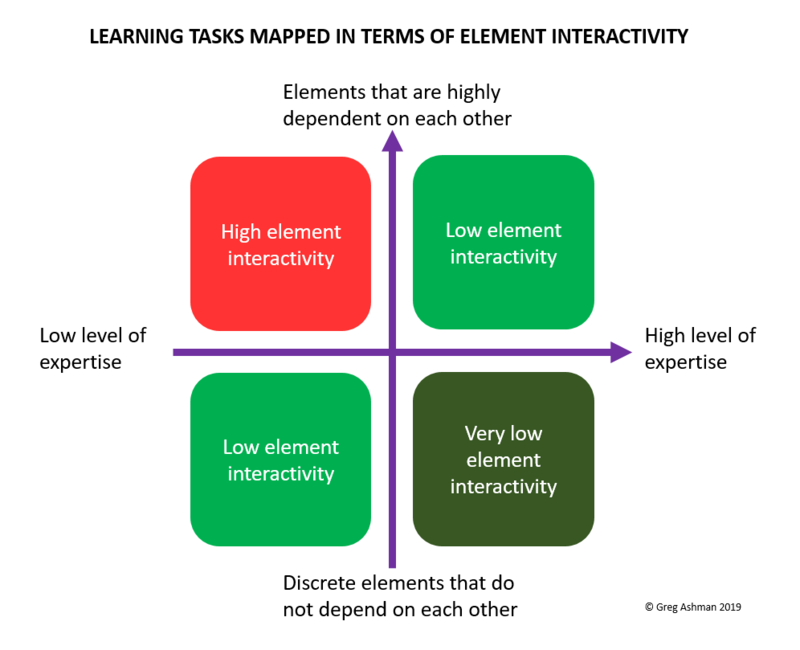 I have now created a graphic that perhaps better illustrates the way that element interactivity depends on both the task and the level of expertise of the person completing the task. Briefly, tasks can involve the processing or recall of discrete elements, or they can involve the processing of increasing numbers of interdependent elements. For instance, learning the capital cities of the different states and territories of Australia would be an example of the former. You can learn each in isolation from the other. The capital city of Victoria does not depend on or interact with the capital city of New South Wales. However, if you are learning a process for solving mathematical problems, each element you might manipulate depends on other elements. If you rearrange an equation by subtracting an item from one side of then you must also subtract it from the other side. Similarly, when writing a paragraph, each sentence has a relationship to the next. For instance, in some forms of academic writing the first sentence may introduce a topic and the next two may provide supporting evidence relating to that topic. Crucially, as we build ever more sophisticated mental schemas for these processes, we can begin to retrieve these schemas from long-term memory and utilise them with little effort. This then has the reverse effect of reducing the number of elements we have to consciously process. 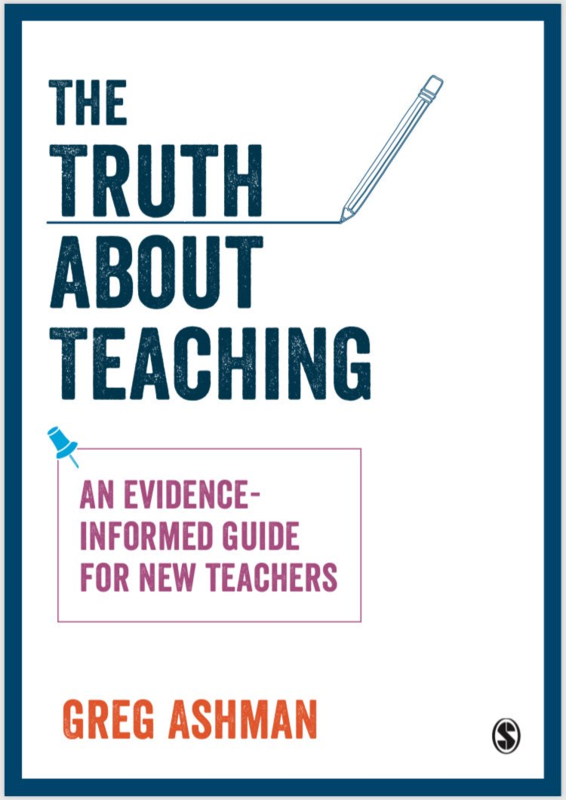 Understanding the progression from relative novice to relative expert and the way this links to task materials is useful to teachers because it can help us select appropriate tasks. Early in instruction, we need to explicitly introduce a few elements at a time. Later in instruction, we need to bring these together to solve more complex problems or create more sophisticated products. Element interactivity generates intrinsic cognitive load and so it is something that, as teachers, we may seek to manipulate by reducing element interactivity for relative novices and increasing it for relative experts. Previous Post Does the Chartered College know what it’s on about? Just to clarify. Are you using element interactivity as a synonym for cognitive load with more emphasis on how that load is created?